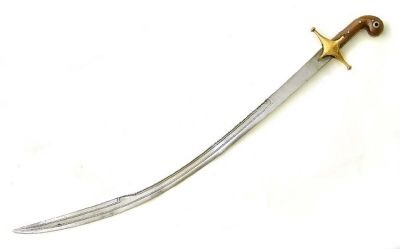 I used to believe that the tip looks like from sword with a two edges straight blade didn't not appear in Middle East.But I found an example may made during 11-12 century had a false edge which is very similar to some modern saber.Is this type of false edge popular during middle age in Middle East?And if some sabers have this kind of false edge is because they were came from back sword.What makes these middle age "Kijil" have this kind of false edge which is different from other kind of popular false edge? Though notionally single-edged, sabers and scimitars have had false edges for as long as they've existed, several centuries before they were commonly adopted in the Middle East; the very earliest finds of Avar sabers, around 600CE, already feature this type of false edge. It has nothing to do with the European backsword, which is a much later development. Note the L-shaped collar, a rare feature on later Middle Eastern sabers but almost ubiquitous on these early steppe swords and also present on the blade you posted. 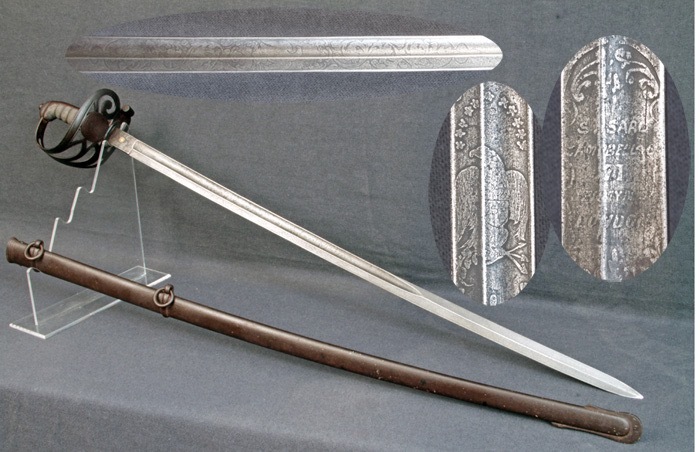 But in answer to your actual questions, then - yes, that type of false edge was popular on early Middle Eastern sabers before the development of the raised yelman that became characteristic of later types, and the reason for its popularity is that it was a typical feature of the even older steppe nomad swords those early sabers were inspired by. 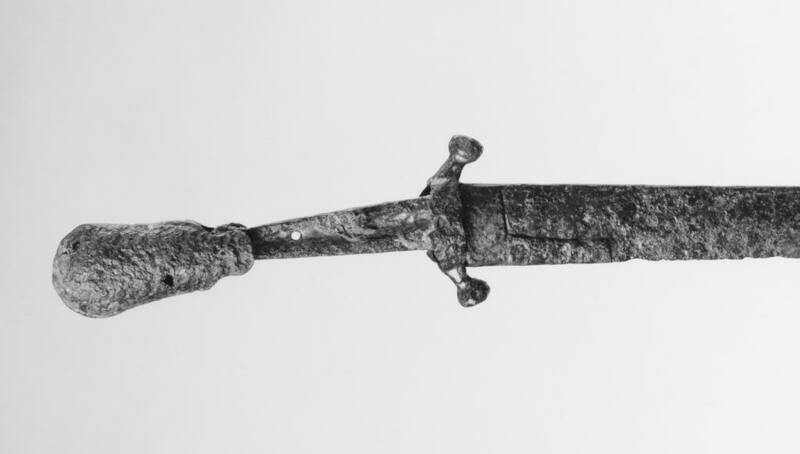 BTW, another sword of this early type is the alleged saber of Charlemagne in the Kunsthistorisches Museum Wien, most probably dating from some time around 900CE (and thus not actually directly connected with Charlemagne). I don't think there's any direct connection, no - they share a distant ancestor in the early nomad sabers of the Eurasian steppe, but that's about it. Of course there was a lot of cultural trade back and forth, but Eastern Europe developed its own lineage of sabers quite distinct from their Middle Eastern counterparts, and that's where the two-handed Schweizersäbel comes from. I am not sure how people called it during it was still used by Army.But it looks more like something between long sword and messer.I think it... may have nothing to do with Early nomad swords? I am not sure how people called it during it was still used by Army. Most probably just "large sword" or "large saber" in their native language, most of the time. That's how it always goes. But it looks more like something between long sword and messer.I think it... may have nothing to do with Early nomad swords? No direct connection, at any rate. And since there's most of a thousand years between them the stylistic lineage is debatable, too.